The Secret Cinema Club, branched out of the UK for the first time to entertain select audiences in Kabul, Afghanistan. The Secret Cinema Club is an exciting, growing community of all that love cinema, they organize theatre shows and movies in unexpected locations. In order to maintain exclusive selectivity, guests are invited via Facebook or Text message at short notice. They have now brought to life Carol Reed's 'The Third Man' at the Farmiloe Building in the secret streets and alleyways of Clerkenwell, London, through to the backstreets of Kabul, Afghanistan. Over 19,000 people travelled to Vienna becoming part of Harry Lime's Rogue racket, Major Calloway's investigation patrols and Crabbin's British Cultural Office. A photographer from the Vienna Times documented the happenings. You can see the amazing photo's here on Future Cinema's Flickr page. Future Shorts London Productions have made this propitious and captivating video. "Thank you for bringing books, flowers, toys, unwanted clothing and amazing attire into the city. By stepping inside the world of 'The Third Man' you helped create our greatest adventure so far. All the contributions of clothes, toys and props have been donated to our charity partner Save The Children to help children in Afghanistan." 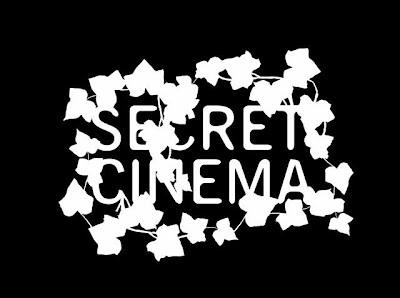 Secret Cinema will return this Spring. P.S. "Harry Lime is alive and well, staging the breakdown of Europe, running an Immigration racket and involved in moving large amounts of fake currency out of Kabul." LikeTheSound is currently in transition.